After waiting for 3 months to receive the CPAP equipment from my medical equipment provider, I was super excited to finally try it out. That night, I set up my sleep apnea machine, fit my mask to prevent any leaks, and drifted into slumber. I’d been dreaming about the day when I could eliminate my sleep apnea once and for all, and the day was finally here where I could do that. The next morning, I woke up feeling noticeably better rested. Getting out of bed, I felt a burst of energy I hadn’t felt in a very long time. I was ready to do a million things and have the most productive day I’ve had in years. I felt like a completely different man; until I looked in the mirror. When I went to the bathroom for your usual morning routine, I glanced at the mirror to find the worst red spot on the bridge of my nose. I hadn’t received any warnings from my doctors from this sort of thing and so I thought it must be part of the treatment. But I quickly realized I was wrong after the same thing happened the next morning after using CPAP. Any skin bruising on the face is a big inconvenience. I looked like Rudolph the red nose reindeer (pic). The occasional itchiness throughout the day was another pain to deal with. Thankfully, the days of CPAP induced nose bruising are long gone. I no longer wake up with any nose bruising. Unlike before, no one can tell that I slept wearing a mask for 7 hours. What Causes CPAP Mask Skin Irritation? This is one of the most common causes of CPAP nose irritation. An over-tightened mask puts too much pressure on the face, especially on the nose bridge. It’s similar to tightly pressing a rubber band against your nose for a few minutes, except an over tightened mask stays on your face for about 7 hours straight per night. A mask that is too small adds more pressure against your face as it presses harder on your skin. A mask too big will force you to over-tighten it in order to prevent leaks, thus leading to nose irritation. Nowadays, most CPAP masks are made from hypoallergenic materials. However, you can develop allergic reactions to just about anything over time. Though this is one of the more uncommon causes of CPAP skin irritation, it’s possible to have an allergic reaction to polymer that makes up the soft part of the mask. In these cases, you might see irritation around the area of the face that your mask presses against. If the soft cushion of the mask that presses against your skin is not cleaned regularly, bacteria can build up and causes irritation. The humidity and oils on the face stimulate bacteria growth and can cause serious irritation over time. Cracks and other failures can start developing in your CPAP mask over time. Having a weathered CPAP mask or weathered soft cushion is setting yourself up for skin irritation. Check your mask cushion and shell for discoloration and signs that it’s time to replace your mask. It sounds tedious, but I’ve personally found that this makes a big difference. I currently use a Resmed Airfit F20. Everything else being the same, when I don’t wash the mask I usually wake up the next day with temporary nose irritation. It generally goes away 5 minutes after I wash my face in the morning. This doesn’t happen when I do wash the mask prior to wearing it for the night. I wash my CPAP masks by placing them in a bowl of hot water with a bit of detergent a waiting 5 minutes before rinsing it with cold water. If you have a Dreamstation Respironics or System One sleep apnea machine and you don’t want to go through this cleaning process every night, you can check out SoClean for an automatic and clean way to wash your mask at night. This is my number one rule of CPAP. As the day goes by, bacteria, dust, and other impurities build up on your skin. When combined, these particles can form a nasty recipe for skin irritation. The problem doesn’t stop there, using your CPAP without washing your face also decreases the lifetime of your mask, causes mask leakage, and even itchiness throughout the night. You can use your favorite face cleanser to wash your face every night. I personally use Noxzema Deep Cleansing Cream because it leaves my face clean and moisturized and has a soothing eucalyptus feel on the skin. Partial snippet of the Resmed Mirage Quattro mask sizing guide. In the case that you have a mask that is too small or large, you can talk to your medical equipment provider to get a replacement. If you purchased the mask online, you might be eligible for a refund depending on your purchase date and where you bought it from. 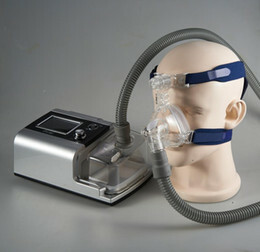 No CPAP mask will work for everyone, but there is a CPAP mask out there for each person. In my case, I tried 4 different masks before finding the one that works best for me. The first CPAP mask I ever had, the Resmed Airfit F10, sealed well but left me with the worst nose bridge irritation I’ve ever had. I tried a few other masks until I finally found one that fit me well without compromising the seal or causing skin irritation. Ultimately, you want a mask that fits you snug but doesn’t leave any bruising and is leak free. This is the toughest part of coping with CPAP: finding the right mask that fits your face but doesn’t cause any bruising or leaks. It’s this process of trial and error that causes many people to give up on CPAP and become non-compliant. 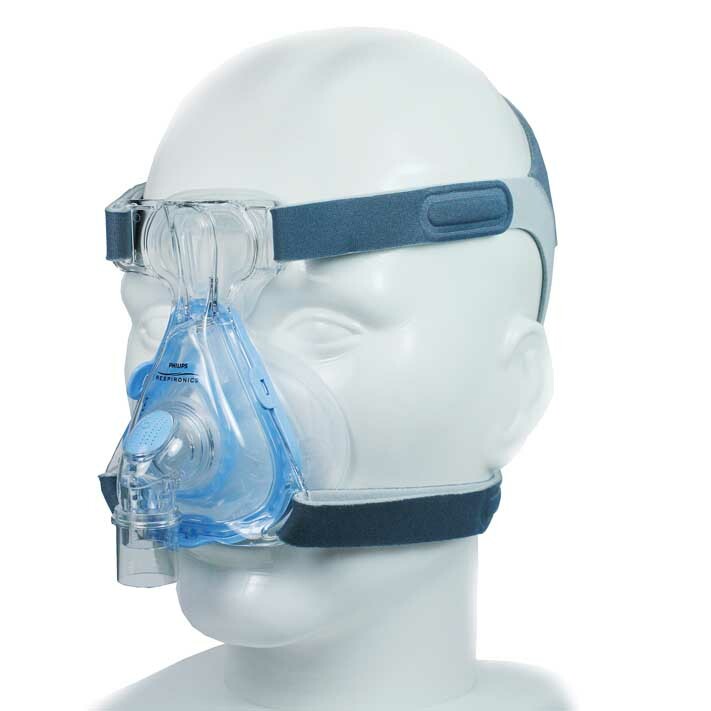 Increase mask fit: Many people that use mask liners report that their CPAP mask fits better with the mask liner than without it. 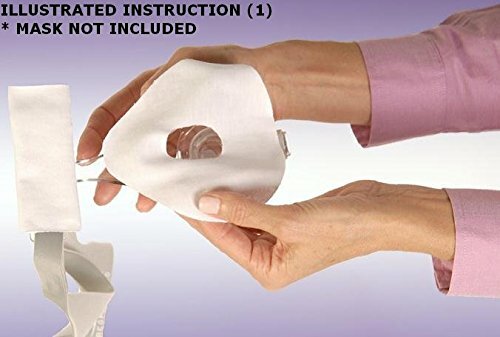 Prevent allergic reactions: Mask liners act as a barrier between the mask and the face which stops any allergic reactions you might be having to the masks soft cushion. If your mask used to work well, but no matter what you try you can’t stop irritation, it might be time to get a replacement. As small cracks and other imperfections start appearing on the mask, they start affecting the mask’s ability to thwart bacteria build up. If you received your current mask from a medical equipment provider, you can talk to them to get a replacement for your current mask. If no matter what you try, you can’t stop CPAP mask irritation, I encourage you to not give up. Many people, myself included, had to try out multiple things before finding one that works for your CPAP therapy needs. There’s not a day that goes by that I don’t feel the difference between having untreated and treated sleep apnea. However, I’d be lying if I told you that CPAP is the best option for everyone. Depending on your needs, there might be other solutions that that work better for you. Rested Life has a comprehensive list of the most effective sleep apnea treatment options that don’t require a mask. If you have any tricks or other tips for stopping CPAP skin irritation problems, feel free to post them below. I’d love to hear about them. Interesting stuff. I am fortunate not to have sleep apnea but if I did I would appreciate this information because for one I would have given up on using the mask if it was uncomfortable at the start. But all you said makes sense to ensure that you can successfully use the equipment and get good results without the irritation. Thanks Ronnie. Sleep apnea is definitely an obstacle to day to day life, but thankfully it can be solved pretty much completely. I know I wouldn’t even think twice about just buying any mask and expecting it to work. It’s Just one of those things you assume would work for everyone I guess. I imagine that red mark must have hurt! I know I had a pair of glasses I got brand new that dug into my nose too because they were heavy and didn’t fit my nose but of course I didn’t think about that while buying them. Lol Luckily I have a new pair now. It was annoying to have to walk around with a red mark on your nose. I also wear glasses so thankfully that disguised it a little bit.